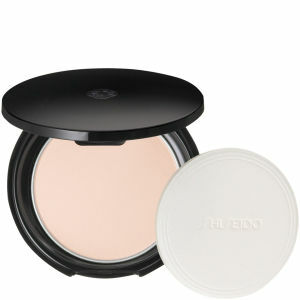 Maintain a smooth, moisturised complexion with the Shiseido Translucent Pressed Powder. Suitable for all skin tones, the beautiful powder creates a light veil on the skin to conceal pores, smooth the complexion and maximise flawless potential. Innovative and intelligent, the extraordinarily smooth powder contains Super Oil-Absorbing Powder to absorb excess oil and prevent creasing for ultimate foundation maintenance. Non-comedogenic, which means it won't cause blemishes, the dermatologically tested powder is your answer to flawless, 'barely there' makeup. Complete with a compact sponge. - K.N.